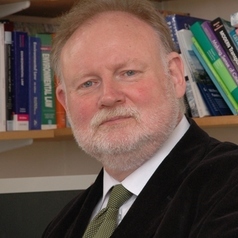 William JV Neill is Emeritus Professor of Spatial Planning at the University of Aberdeen, and Visiting Research Professor at the Institute of Irish Studies, Queen's University Belfast. His research interests revolve around planning and heritage in Belfast, contested symbolic aspects of place in societies emerging from conflict, and the expression of identity in cities and how this is spatially contested and affirmed. He has edited several books on the subject of Northern Ireland in this context, including Relaunching Titanic: Memory and Marketing in the New Belfast (Routledge) 2013; Urban Planning and Cultural Identity (Routledge) 2004; Urban Planning and Cultural Inclusion: Lessons from Belfast and Berlin, (Palgrave) 2001, (with HU Schwedler); and Reimagining the Pariah City: Lessons from Belfast and Detroit (Ashgate), 1995 (with B Murtagh and D Fitzsimons). He was appointed to a Sixth Century Chair in 2006 having held academic appointments at the University of Manchester and Queen’s University Belfast. He completed a Master’s degree in Urban Planning from the University of Michigan and completed his PhD at the University of Nottingham. He worked as an urban planner for the State of Michigan in the 1970s and 1980s with particular reference to the city of Detroit. He is a former Council member of the Royal Town Planning Institute and was a recent member of an EU URBACT expert group on the future of European shrinking cities. His book Future Directions for the European Shrinking City (edited with Hans Schlappa) was published as part of the Routledge RTPI Library Series in 2016. In 2018 he was appointed as a Visiting Research Professor at the Institute of Irish Studies, Queen's University Belfast.